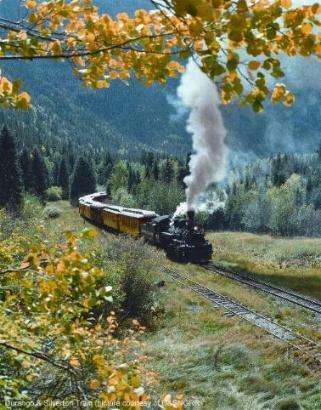 A dream train trip of mine was to ride the D&SNGRR through the Rocky Mountains in south-western Colorado, which I have now fulfilled. 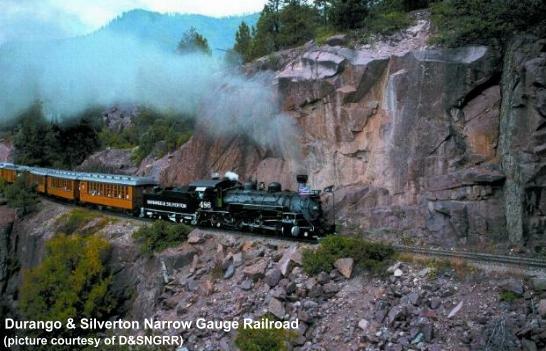 This narrow gauge railroad between Durango and Silverton was constructed around 1881, and originally used to carry silver and gold ore. It was soon realized that passengers could play an important role and so passenger coaches were added. Vintage locomotive engines have been restored to their magnificent glory and puff dramatically over the 45-mile journey. Now, some 120 years later, they’re still working diligently taking sightseers through the San Juan National Forest. These coal-fired (six tons per roundtrip) steam-powered engines are a remarkable insight into the past. Narrow gauge means that the rails are three feet apart as opposed to the standard 56½ inches apart. These narrow rails make it easier to snake around the winding mountains and were less expensive to install. Starting my journey from just outside Colorado Springs and driving south, and then west through Alamosa and through the spectacular Wolf Creek Pass and on to Pagosa Springs, heading for Durango, I chose to travel in the fall. October 2, 2003 to be exact, when the aspen leaves were still golden and the scrub oak turning slightly burnt orange. While the weather wasn’t cooperative (cold and rainy), the views were nevertheless spectacular. 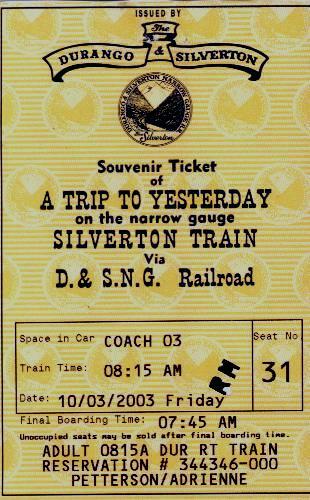 With an early morning wake-up call to be at the train station at 7.45am for the 8.15am departure, and excitement surging through me, we were soon trundling onwards at around 15 mph towards Silverton. At some points, directly above a 400ft drop to the Animas River below, it was pretty hair-raising but indeed awe-inspiring. The route follows the Animas River for most of the way and even drops off anglers or hikers (and picks them up on the homeward journey, provided they use the required signals to the driver!) along the way for a few hours, or days, whichever they prefer. A great opportunity to get as far away as possible from civilization and to just wander in the forest. There are two open coaches, or gondolas on the train, which makes it much easier to see the views than from the inside of the coaches. You can open the coach windows, however. Out in the open coaches you stand a good chance of getting a light dusting of soot now and then, so be warned. The train makes a few stops en route to fill up with water (10,000 gallons for a roundtrip) and you can see the old-fashioned water tanks, one of which is presently being renovated and restored to its former self. The coaches are wood-paneled and a throw-back to the old days of coach travel, and every effort has been made to maintain the authenticity of train travel 100 years ago. I loved the little brass handles on the inter-leading coach doors. At any given moment I half expected a Victorian-dressed lady to come strolling through the aisle. Even the train driver communicates with the crew through whistles – no electricity on board. The pristine condition of the river and banks is a testament to the efforts made by everyone to keep the countryside clean and neat. Sadly though, I did see a pile of junk just before Tall Timbers on the way back. 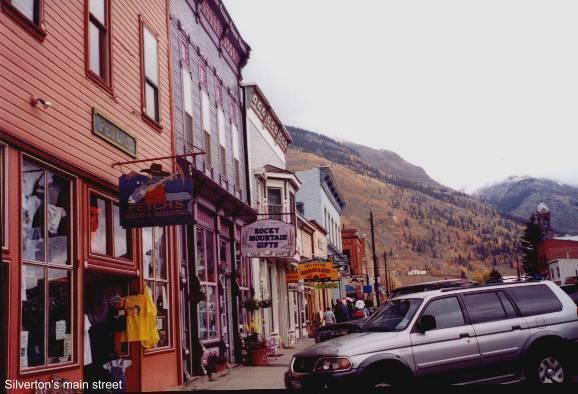 The two-hour lunchtime stopover in Silverton is truly a step back in time. It’s nestled in a valley and surrounded by snow-covered peaks. Only one paved road in town with a few dusty (or in this case, muddy) side roads. Not a huge place by any means but still with a lot of charm and great for taking photographs. Lovely little shops to pop in and out of as well as a few places where you can get a meal. It was good to stretch your legs and move around a bit after the 3½ hours on the train. You can opt to take the bus back for the return portion of the journey (an additional $5.00 and only 2 hours), or simply sit back and relax and see the view from the other side of the train. You get the same seats there and back so everyone has a fair chance of seeing all there is to see. 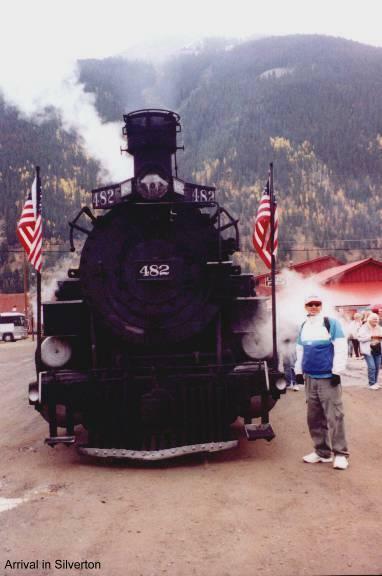 This famous train has been featured in many movies, some of which are How The West Was Won, Durango Kid, and Butch Cassidy and the Sundance Kid. It was also recognized as one of the "Top Ten Most Exciting Train Journeys in the World" by the Society of American Travel Writers. Certainly one of the most incredibly beautiful train trips I have taken, and going alone won’t be a problem. The enthusiasm the people showed on this trip was infectious. One guy even came all the way from New York just to ride the train. Coffee and snacks are available in the concession coach but you can also bring along your own food/picnic if you choose. Although not that cheap, at $60.00* a ticket (children to age 11 cost $30.00*), it is a full day outing that will remain with you till the end of time. 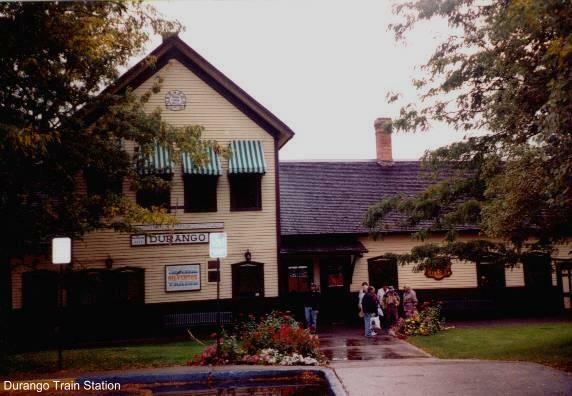 You can also ride the Parlor car (restored to its former glory) during May to October. Your train ticket allows you entrance into the Museum which is worth a visit. You can charter coaches to either Cascade or Silverton. Contact D&SNGRR for information and brochures. *Fares correct at the time of posting. At certain times of the year you can choose between a variety of excursions to suit your needs. From a wine-tasting trip to a Mountains By Moonlight, or the Annual Iron Horse Bicycle Classic trip. Before it gets too wintry and cold, there are at least two trains a day. In summer there are additional trips, and in winter, a shorter journey just up to Cascade and back. That’s my next trip! I highly recommend this wonderful train trip. Remember, you’ll be up around 9,500 ft in the mountains, so bring along a warm jacket, just in case. Don’t forget your camera as you’ll be snapping away. 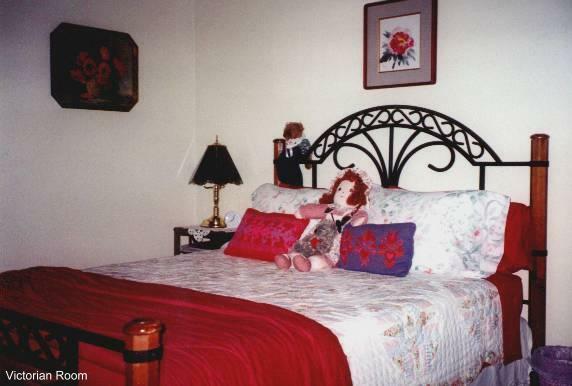 In Pagosa Springs, I stayed at Be Our Guest Bed and Breakfast, and in Durango, at Budget Inn. I spent a night at Be Our Guest Bed and Breakfast in Pagosa Springs. It is the delightful home of Pam and Tom Schoemig who are the charming hosts. Nestled quietly at the beginning (driving west) of Pagosa Springs, there is very little to bother you in the way of traffic noise. A tour of their establishment revealed cozy and comfortable rooms that slept either singles, doubles, or up to five. Every bed is covered with a quilt which I found rather quaint. Three levels of rooms with an all-equipped lower level should you want to do your own cooking. Breakfast deliciously began with fresh apple, walnuts and cranberries, followed by eggs, potatoes and sausage, hot biscuits and jams, and the customary orange juice and coffee or tea. They have a huge lounge/family area where you can read in peace or take a little nap in a comfy chair. The balcony offers a beautiful view of the surrounding mountains as well as facilitates an outdoor breakfast. Even though they are on the highway, I wasn’t disturbed in the least. There are six loft beds in a communal-type setting, used a lot by skiers and single travelers. They even have a laundry room if you’re so inclined. All-in-all, a most hospitable and welcoming home, and I’ll definitely be going back. Rooms with names like "The Cowboy Room", "The Rustic Room", "The Indian Room", and "The Victorian Room", add to the charm of this beautiful house. A superb place to stop and rest in peace and quiet. Close to Pagosa Springs as well as Wolf Creek Pass for skiing. Extremely pretty and beautifully decorated. $27.00 for a loft bed. Visit their website for rates of the other rooms. Very well worthwhile checking out and highly recommended. N.B. Be Our Guest Bed and Breakfast did not take credit cards, so check ahead of time and make arrangements beforehand. 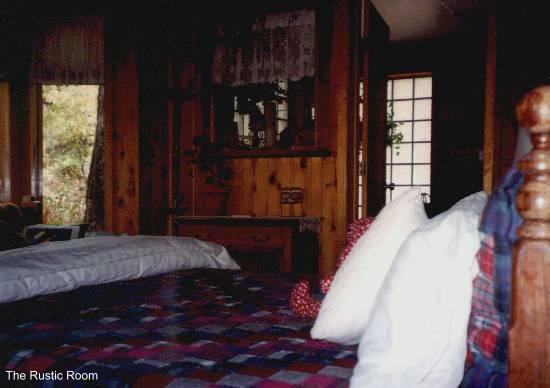 Neat and clean rooms, and courtyard, and not too far from the Durango & Silverton train station. Noisy air-conditioner. $31.00 (excluding taxes) per room per night. Durango has much to offer the more adventurous traveler, such as hiking, biking, rock climbing, fishing, rafting, skiing, and more. Visit the Durango Website for information. Visit the Pagosa Springs Chamber of Commerce for more information on what’s on in Pagosa Springs. You’ll be pleasantly surprised at what there is to do. Incredible hot springs for one, with about fifteen or more little pools, in which to dip and soak your weary body. Visit the Silverton Chamber of Commerce to request a brochure and to get more information. Prices quoted were correct at the time, October 2013.